Besides beautiful landscapes, food is another reason we love to travel. We usually have a checklist of ‘must try’ foods when we visit a new place, and then of course, the rest is up to whatever looks good! 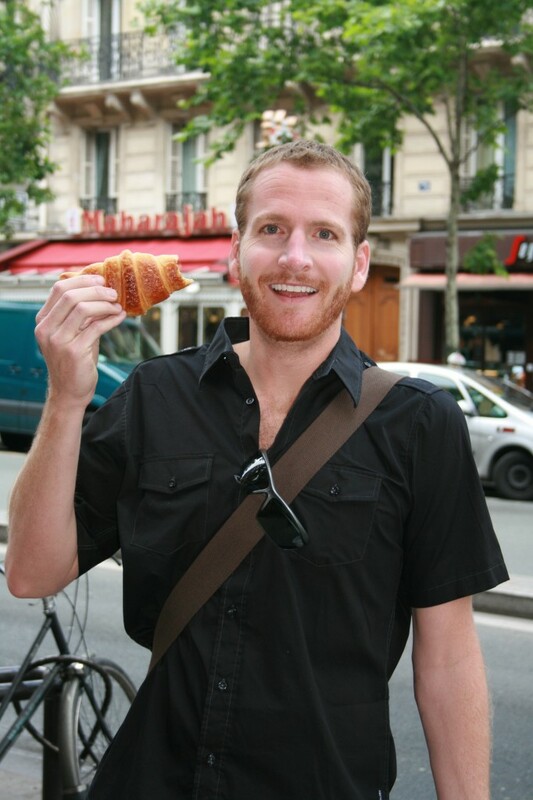 We had quite the Paris food list for our awesome trip. 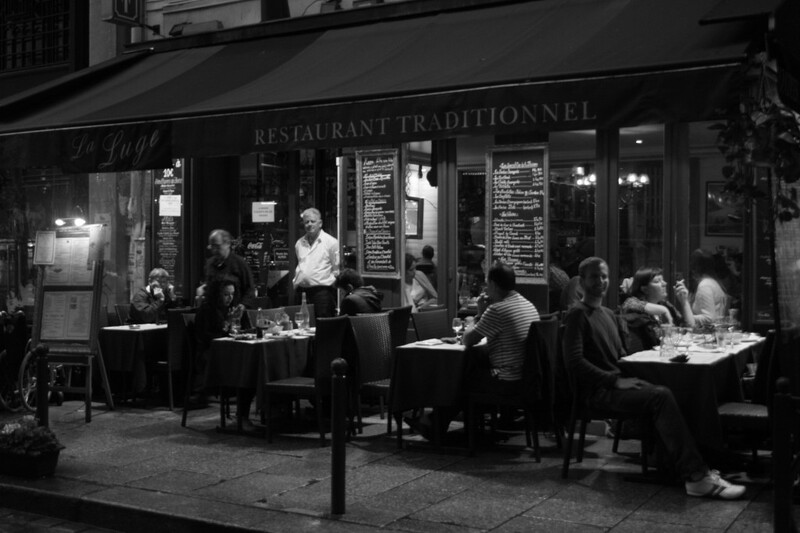 There are a lot of great places to dine in Paris, but if your’e exploring the city, sometimes you don’t always want to stop for a big meal. 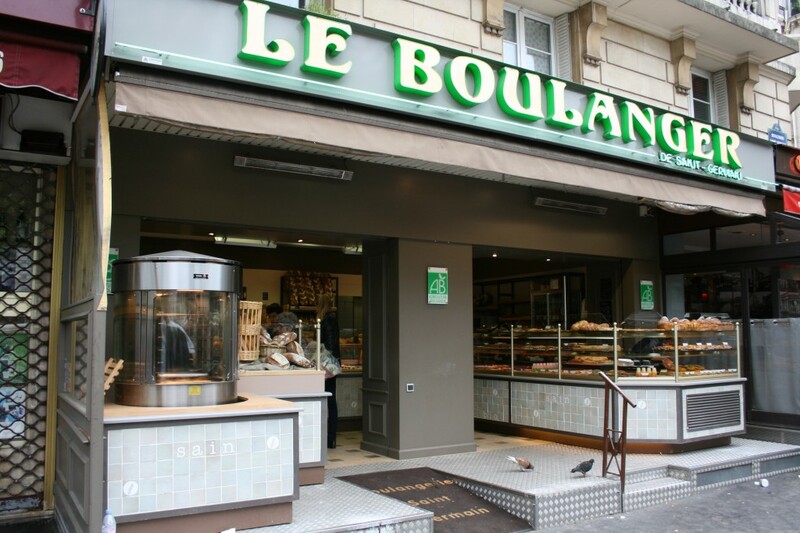 Fortunately for us, there was a boulangerie (bakery) right across the street from where we were staying, so we started off every day with some form of baked goodness! What started out with a freshly-baked fluffy croissant the first day, became a chocolate-filled croissant the following day. We eventually worked our way up to a tress au chocolat, which is essentially sweet bread with a chocolate filling (same yummy taste, different packaging). 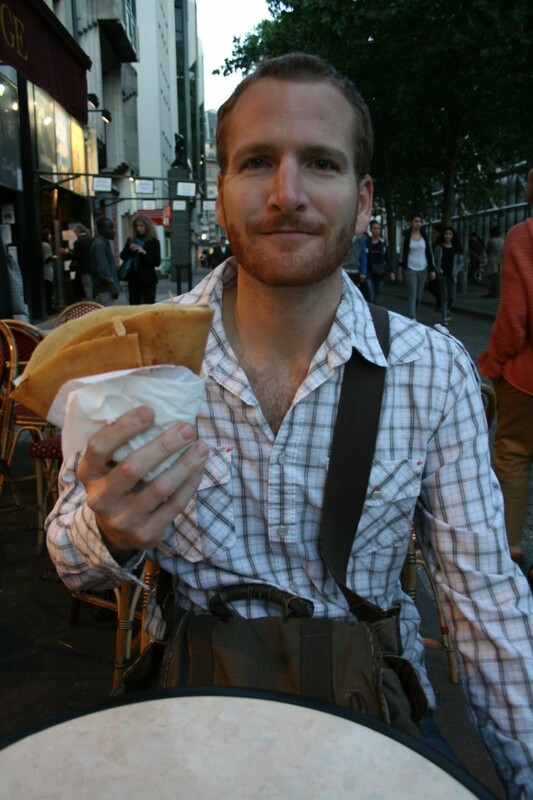 Another item high up on our food list was a crêpe. 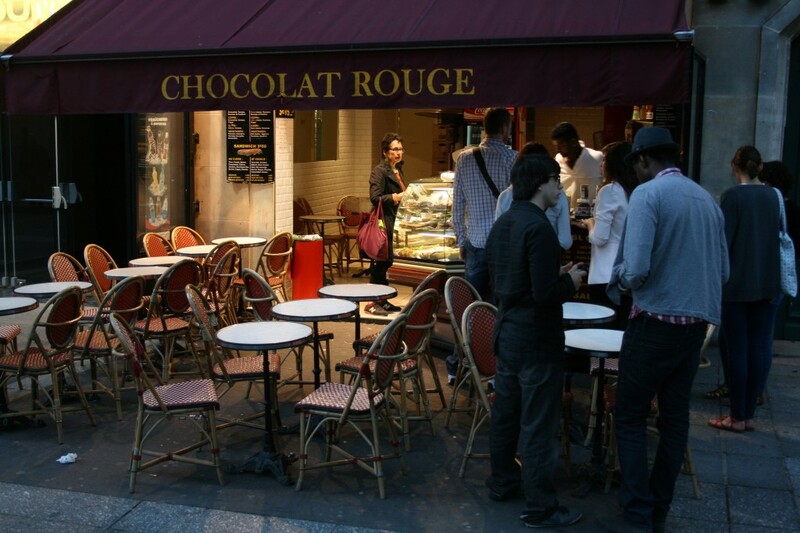 Out of pure luck we stumbled upon Chocolat Rouge near Centre Georges Pompidou. 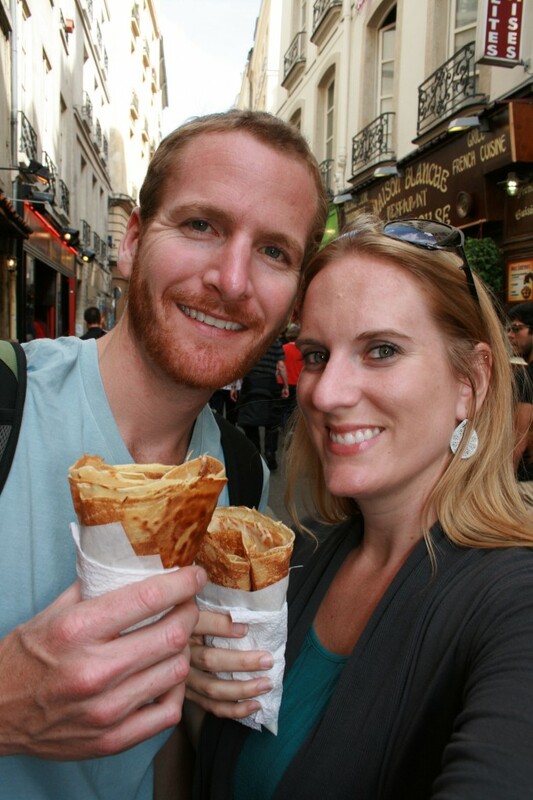 Our first Parisian crêpe experience was delightful. Of course, you can’t go wrong with Nutella! It was absolutely delicious. Sam said he’d be getting a crêpe every day we were here! However, later in the week, we had a not-so-great crêpe experience. One day for lunch, I ordered a crêpe filled with cheese and Sam ordered one filled with cheese and tuna. Unfortunately, the melted cheese turned to oil at the bottom of the crêpe which started to drip out the bottom. After a few bland bites, we both tossed ours in the trash – fail! Our advice, stick to the dessert crêpes. 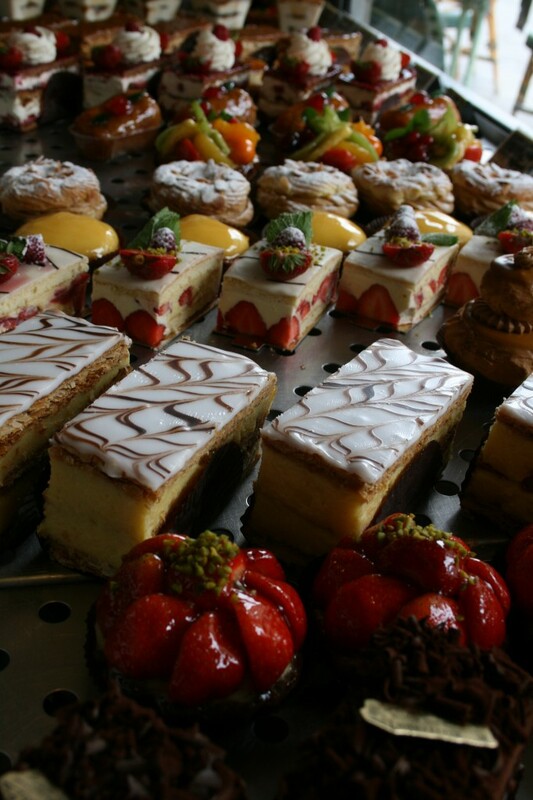 It’s hard to walk more than a few blocks in Paris without passing a bakery. With a colorful array of delectable treats adorning the store front windows, you can only walk past so many before giving in! 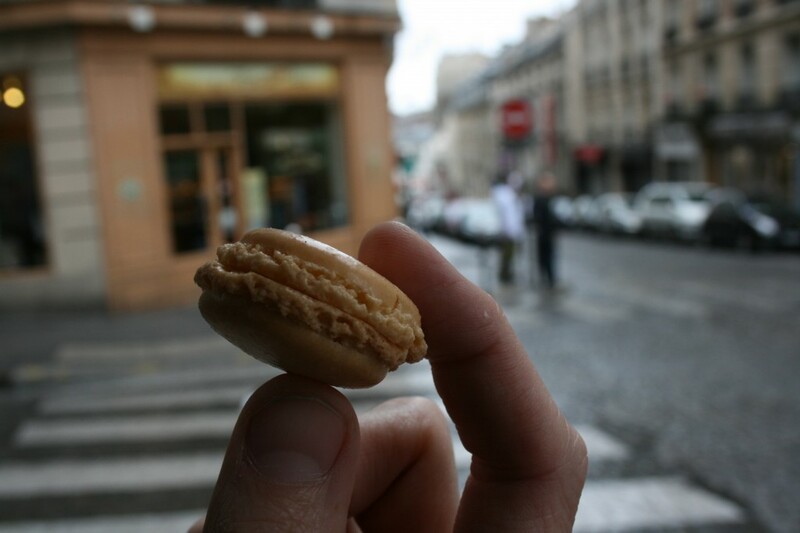 Before this trip we had never even tried a French macaroon, so of course that was also on our list of ‘must try’ foods. 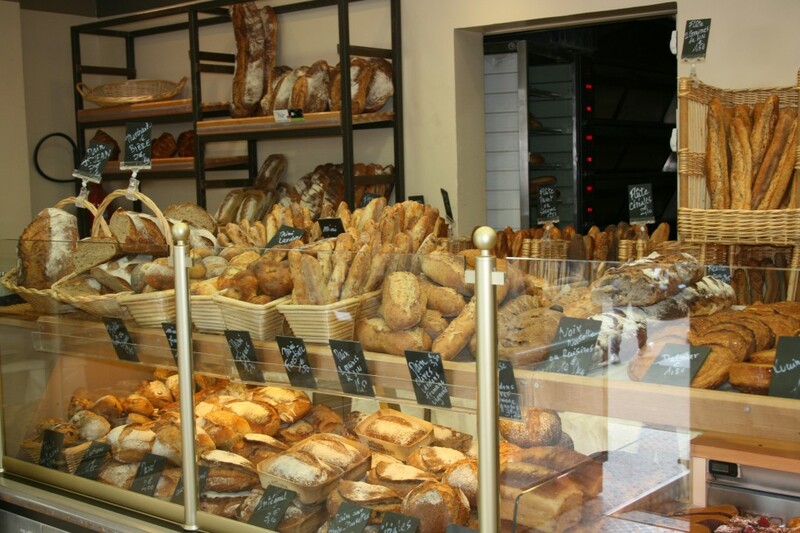 During a rainy day in Montmartre, we stopped by la Flute de Pain to sample the goods! We tried one caramel and one coconut macaroon. 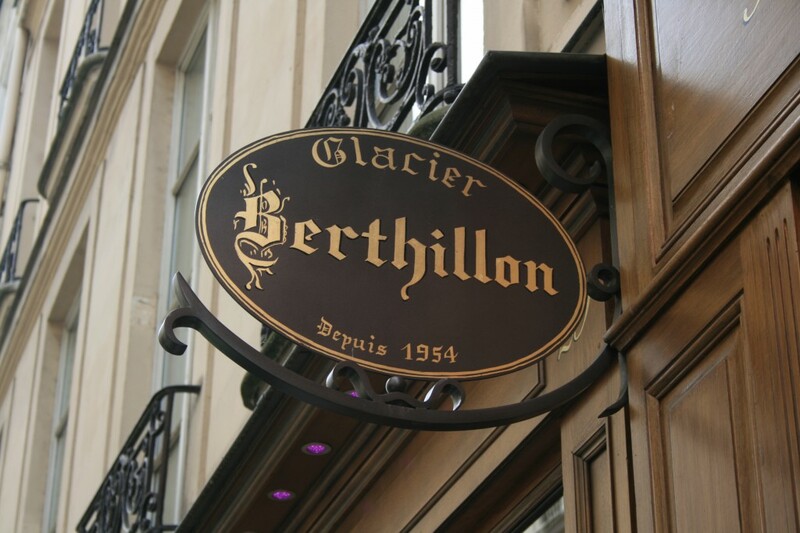 Another tasty treat hard to resist is the ice cream at Berthillon on Ile Saint Louis. The white chocolate, chocolate, and butter salted caramel flavors were incredible. So what’s better than that? 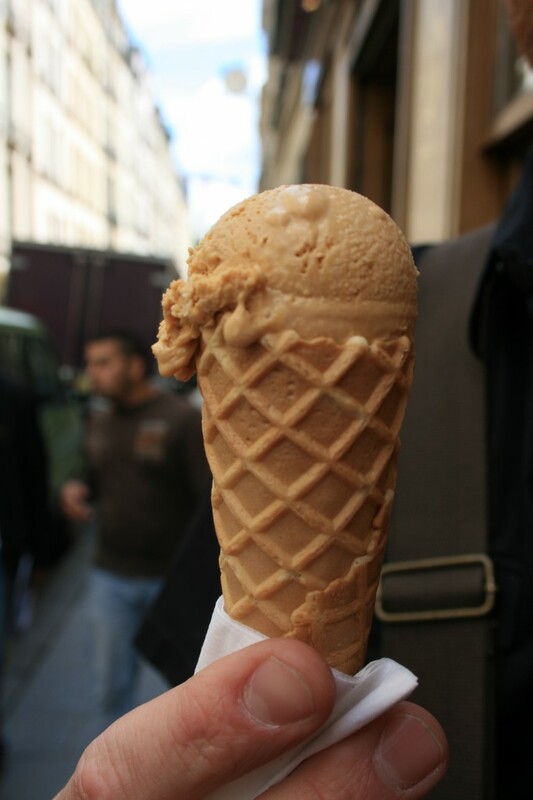 Why, getting fresh-made waffle cones, of course! 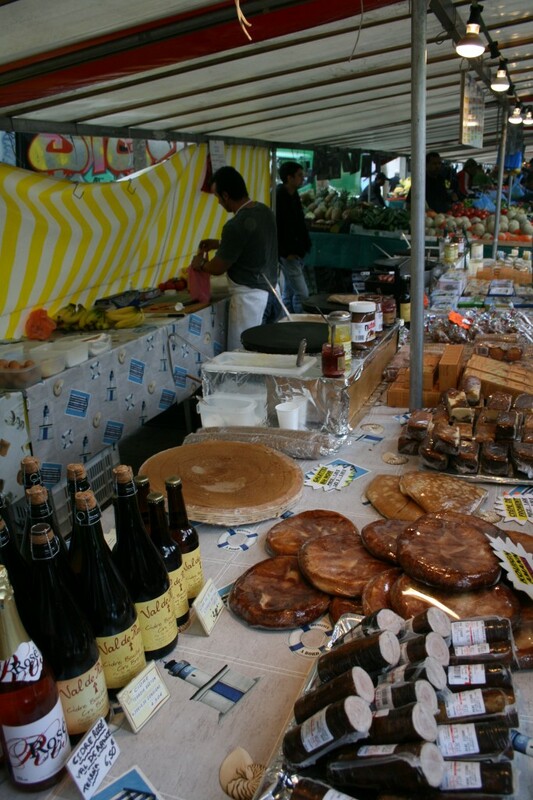 For more great Paris food on the go, be sure to stop by the Bastille Market in Marais (open Thursdays and Sundays). 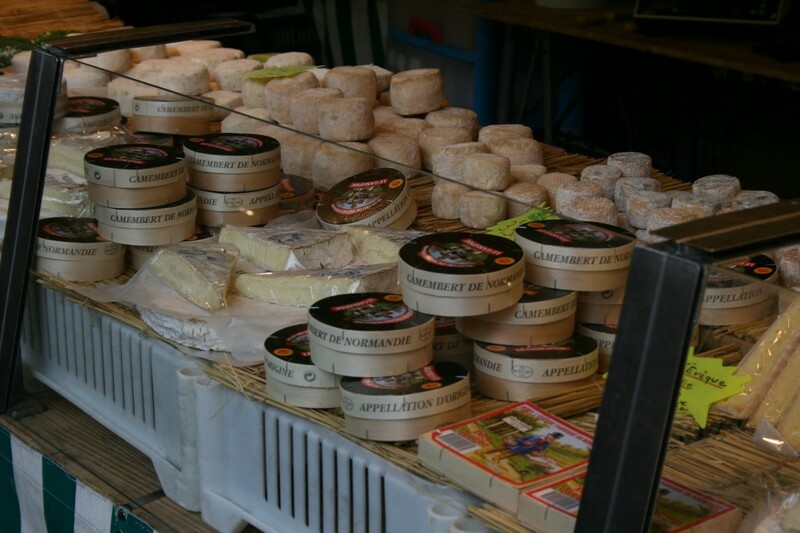 There were countless food booths with cheese, seafood, bread, and fruits and vegetables. 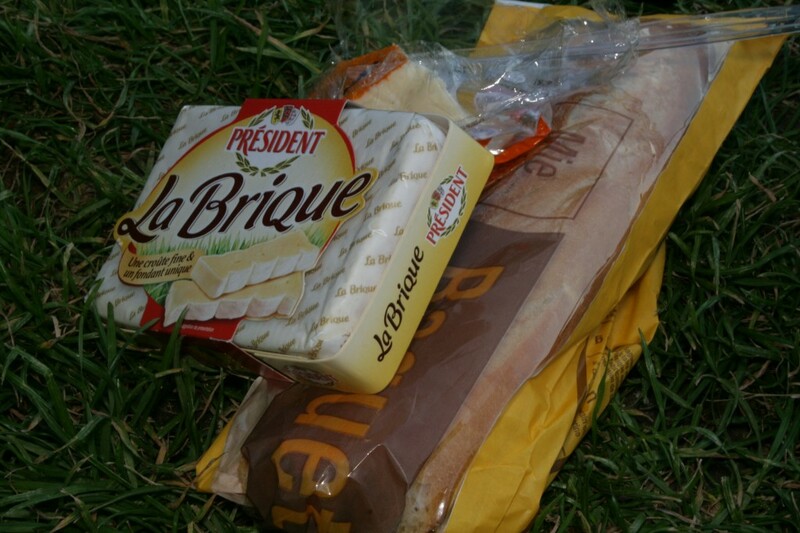 Markets and local grocery stores are perfect for stocking up on picnic foods! 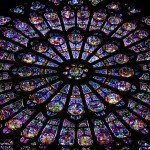 A great way to experience Parisian life is to get some of your favorite foods and visit one of the city’s several parks or gardens to enjoy a meal. 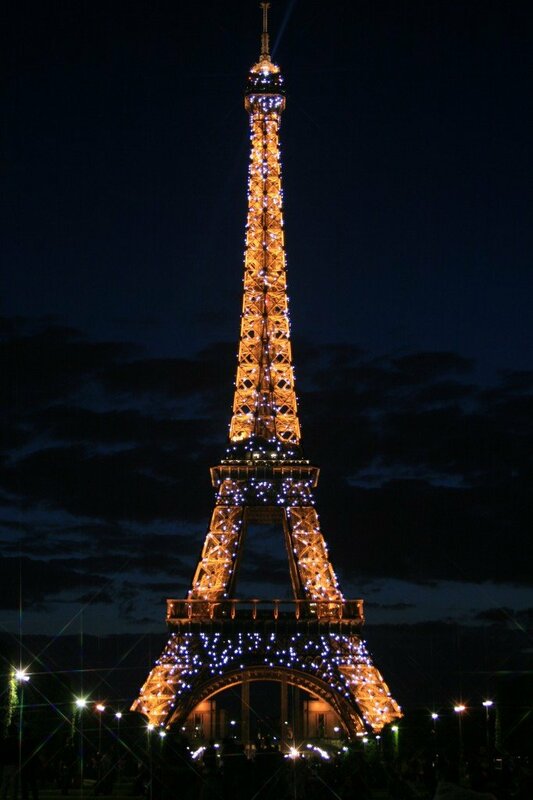 We stocked up on cheese and freshly baked bread and enjoyed a picnic on the grass near the Eiffel Tower as we waited for the nightly light show! 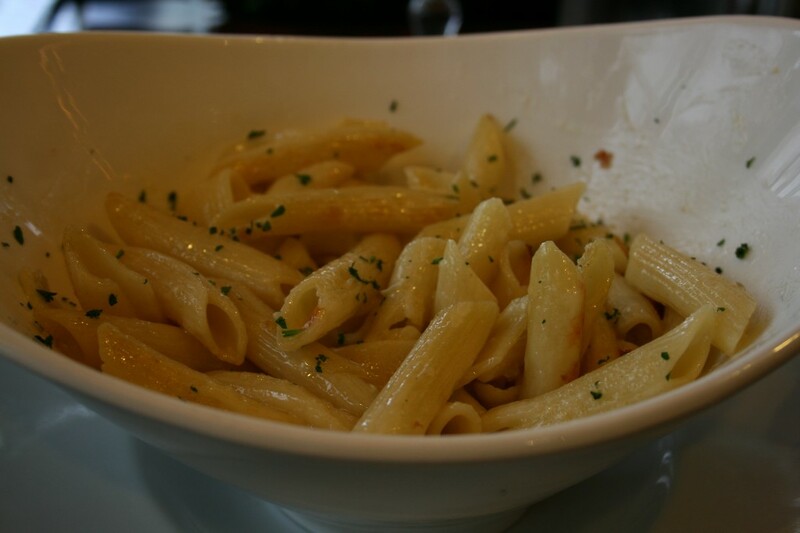 In Europe, food is usually cheaper when you order it to ‘take away’. However, when walking around the city all day, it’s nice to find a restaurant or cafe where you can rest your tired feet. 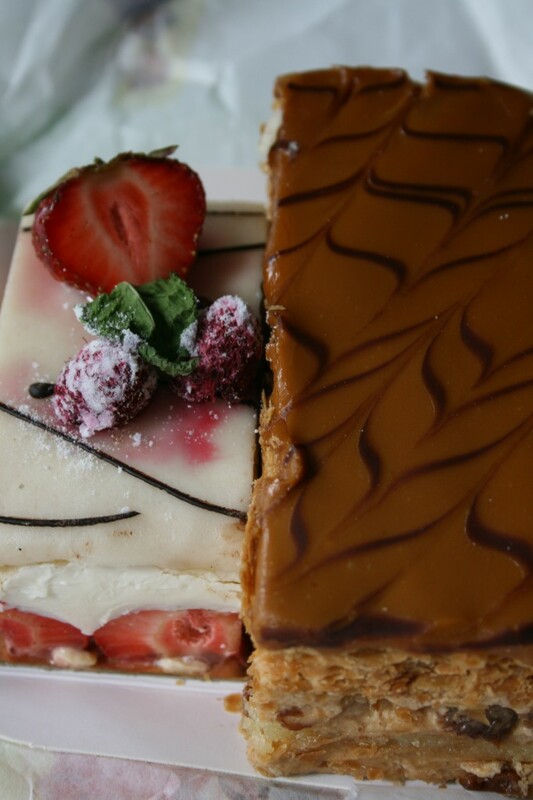 Pont Neuf Café offers a relaxing atmosphere, friendly service, and decent prices. 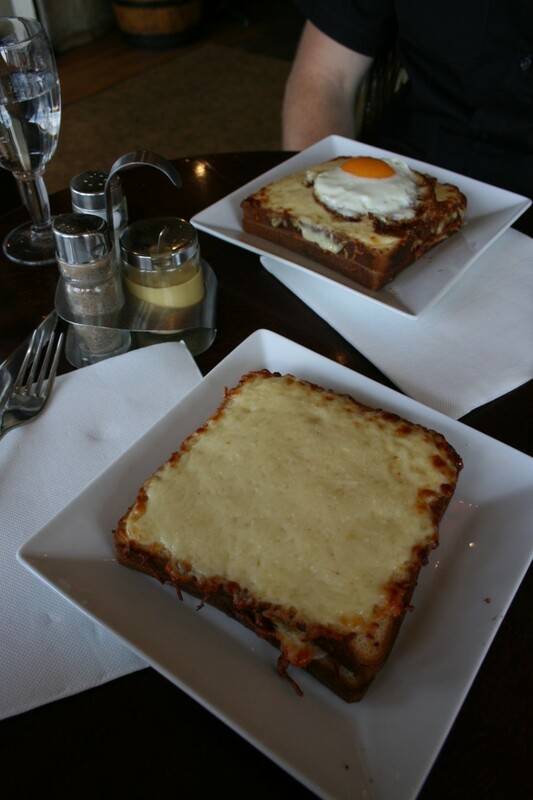 We ordered one croque madame and one croque monsuir. They’re both toasted ham and cheese sandwiches with cheese melted on the top, but the croque madame is served with a fried egg. 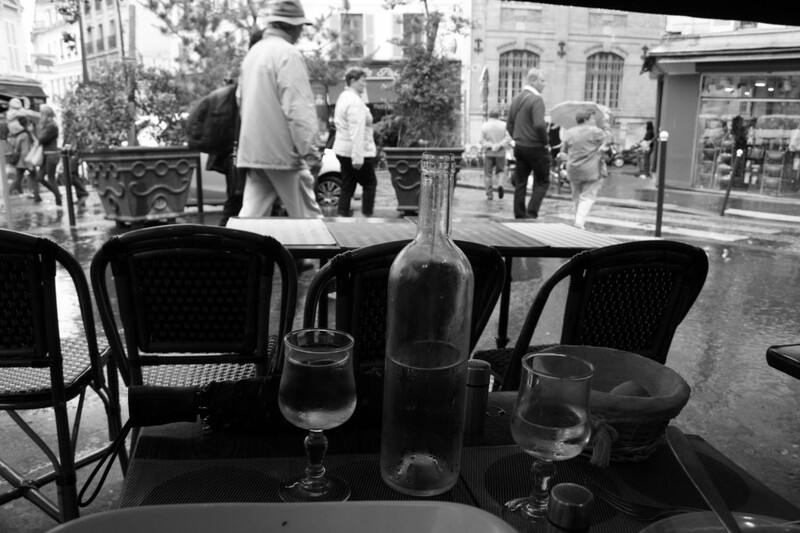 During our rainy day in Montmartre, we really had no other choice than to sit at a sidewalk cafe to enjoy some comforting and warm food. 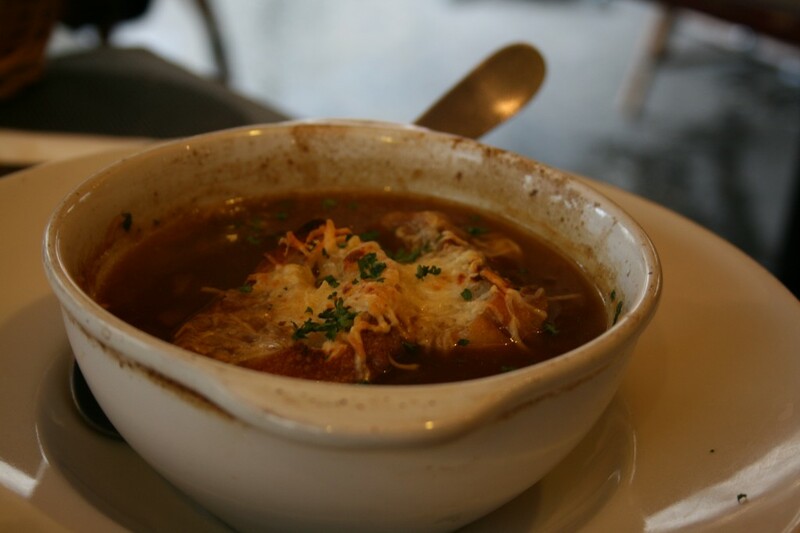 The French onion soup and Gorgonzola pasta were just what we needed on this usually cool summer day. For our final night in Paris, we wanted nothing more than a romantic sit-down meal in a nice restaurant. 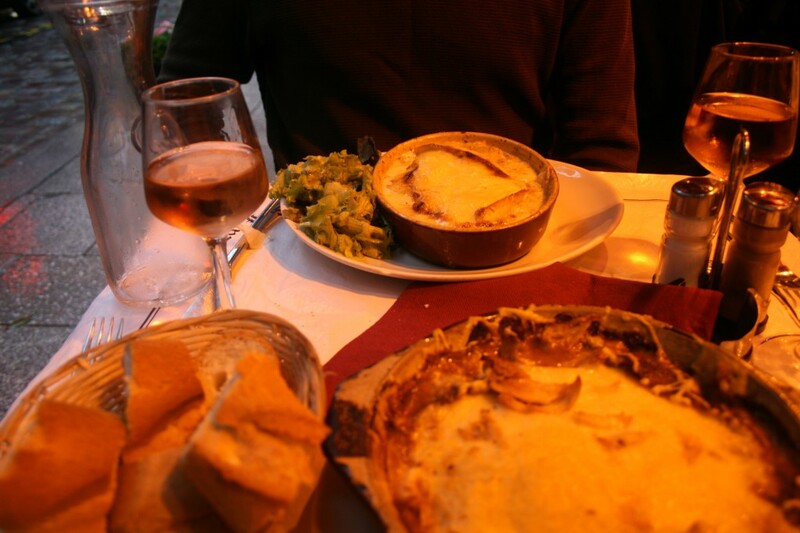 We came across La Luge in the Latin Quarter with an open table right on the street. 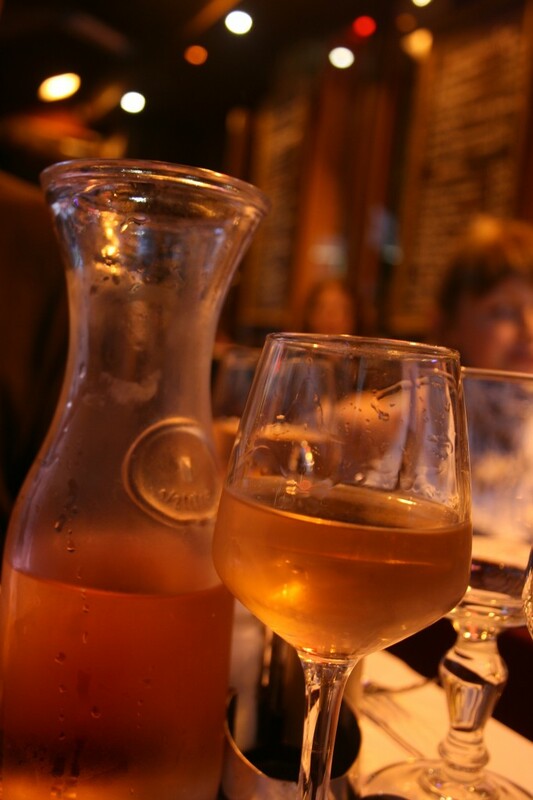 We started out with the rosé wine from Provence. Sam ordered a Tartiflette (potatoes, onion and bacon baked with cheese on top). 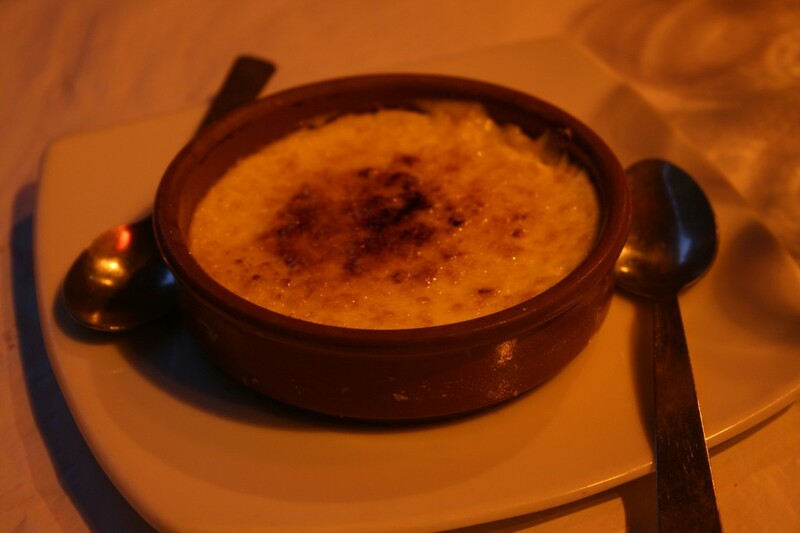 I ordered La Poustarec (Les Graninees au Four), which was chicken, mushroom sauce and cheese gratine baked in the oven. To top it off, we split a crème brûlée for dessert (another ‘must try’ while in Paris). It was delightful! So what about you? Before traveling to a new place, do you research the local cuisine and make a list of food you want to try, or simply go with what looks good? 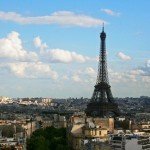 For a (printable) quick-reference destination guide to what we did during our entire stay in Paris (where we stayed/ate, what we saw, money saving tips, etc. ), click here.